Whereas a great number of professional gamblers try applying versatile strategies in order to win a fortune, some players don’t really bother themselves with learning all peculiarities of complicated systems, which are supposed to help them receive more money, but, in fact, can’t guarantee 100% chances to beat the casino. The reasons of such indifference may be connected with a desire to play just for fun, without worrying about how much money has been already spent, of course, abut there’ re also happen the cases, when such players’ actions are predetermined by the fact that they have decided to apply the simplest advantage play technique - comp hustling. In comparison with other options, like the famous shuffle tracking, or the well-known blackjack card counting strategies, which are recognized to require well-developed mathematical skills from the gambler, comp hustling doesn’t presuppose anything, but using the free bonus opportunities, usually offered by casinos. In this respect, comp hustling technique is very much alike to searching for casino bonuses, as the ultimate goal for every player, who tends to apply it, is to use chances to play for free, or get better payoffs, whenever it’s possible, even though he/she doesn’t, actually “deserve” them. 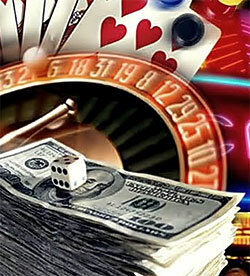 The key point is connected with the fact that most respectful casinos happen to do everything to encourage loyal clients, who generally play for quite a long time and can lose considerable sums of money, to continue betting, and the comp hustlers do everything to make the casino operators believe that they ARE such clients. The ways to act, as if one is a passionate devoted gambler, who is ready to spend everything in a casino and in such a way get all possible bonuses, might vary, but the most common ones are known to comprise the increase of bets to a great extent, while one is watched by the members of the “pit crew”, or the usage of the player-card-removal tactics in video poker, for instance, with a purpose to show the casino that you lose much and, yet, you’re not planning to stop playing. Moreover, one beneficial peculiarity of comp hustling is to apply for membership in all possible Players Clubs, even though a gambler doesn’t frequently visit the particular casino. This will enable a person receive more bonuses, like free plays, or even free drinks and food, not to mention numerous opportunities to play within luxurious VIP rooms. All things considered, although comp hustling is, certainly, less profitable, than card counting, for instance, as it doesn’t really swell one’s winnings, it turns out a perfect way to enjoy one’s gaming process in any casino and save some money as well.